Kicked bowls are a pain. If there are bits of crusty burnt up weed stuck to the inside of your bowl, getting them out can get messy. Some people use their fingers, some use a pen, pretty much anything that they can find with a small point that will be able to dig up that smoked weed. Stoners have been breaking their bowls with these primitive tools for far too long and it’s about time that someone did something about it. Thankfully, the Kasher is available for all stoners, a great little device that clips on to your lighter and allows for easy, painless ash removal from your piece. 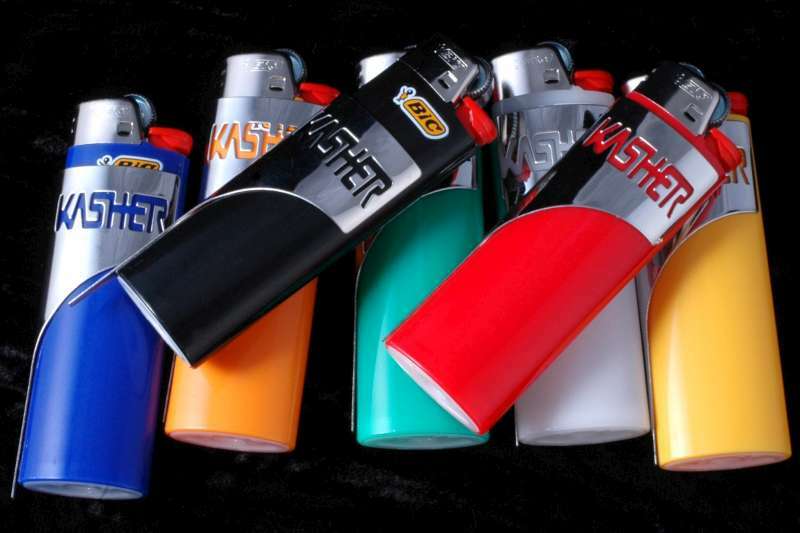 The Kasher is a small piece of metal designed to wrap about the standard Bic lighter. The top clips near where you light the lighter, tapering to a point on one side. 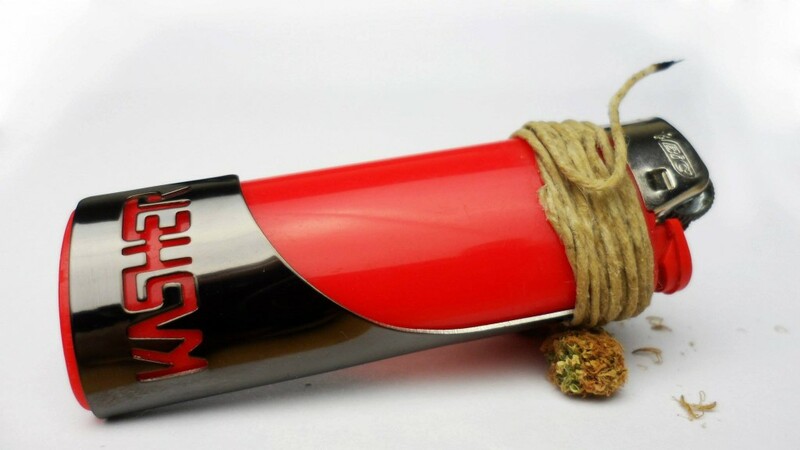 When the Kasher is slid down the lighter, the point becomes exposed, allowing the stoner to empty the smoked bud in to an ashtray or other receptacle. When you’re done using it, the Kasher slides back up to its resting place, laying flat against the lighter. It can go with you where ever your lighter can, since the two are kind of attached. Since I’ve had the Kasher, I no longer have to take bobby pins out of my hair when I’m packing a new bowl. My hair accessories thank me. Not only that but the Kasher doubles as a sort of scraper for kief that gets plastered to the grinder walls. You know, the stuff that’s almost impossible to get. Some stoners even report using the Kasher as a makeshift dabber when there isn’t one available. This stoner accessory is a definite must have for the stoner who doesn’t want to waste any more money on bobby pins and is tired of using random objects to scrape out bowls. On a scale of 1-10 on the Stoner Must Have scale, I give the Kasher a 7/10. My only qualm with the product is that the Kasher can be difficult to get on the lighter and sometimes scratches up the surface a bit. It’s recommended that you buy a boring Bic to add the Kasher too. That way, it doesn’t scrape away any images on the Bic that you happen to like (Everyone knows stoners love those crazy gas station lighters). 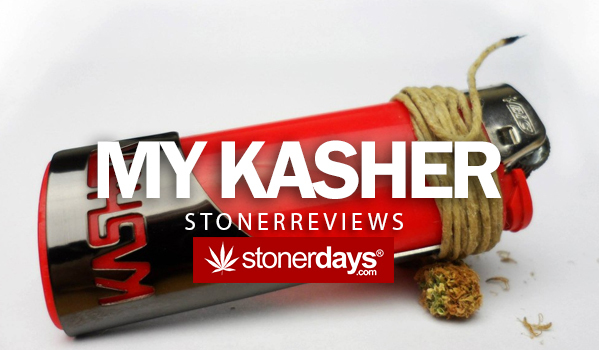 You should definitely give the Kasher a try and you get two of them for $6.00 on the website, located at www.mykasher.com. Enjoy this awesome stoner accessory!